The Commercialization Center at AmpTech comprises technology and business experts who facilitate the transfer of innovations from the laboratory to the marketplace. The AmpTech Commercialization Center is part business incubator, part accelerator, part collaboration center, and part education hub for new technology. Excellent location; close to Philadelphia, New York, and Washington D.C.
Like other incubators, AmpTech is part lab, part tools & equipment, and a shared work environment. However, the similarity stops there. AmpTech, like the plasma & 3D printing technologies we focus on, is a catalyst for causing fundamental change in industries important to the Mid-Atlantic Region and the rest of the world. We are all about collaboration, so we engage industry partners to work individually or in collaboration with others to help envision, define, and prove the commercial viability of new products for healthcare, energy, environmental control, agriculture, and heavy manufacturing such as aerospace and automotive. AmpTech is also the first ever professional & highly collaborative hybrid makerspace that combines two cutting edge technologies, plasma and 3D printing, into one makerspace with all the resources needed to take an idea to market. We are part education facility, lab, business accelerator, makerspace, and shared workspace. 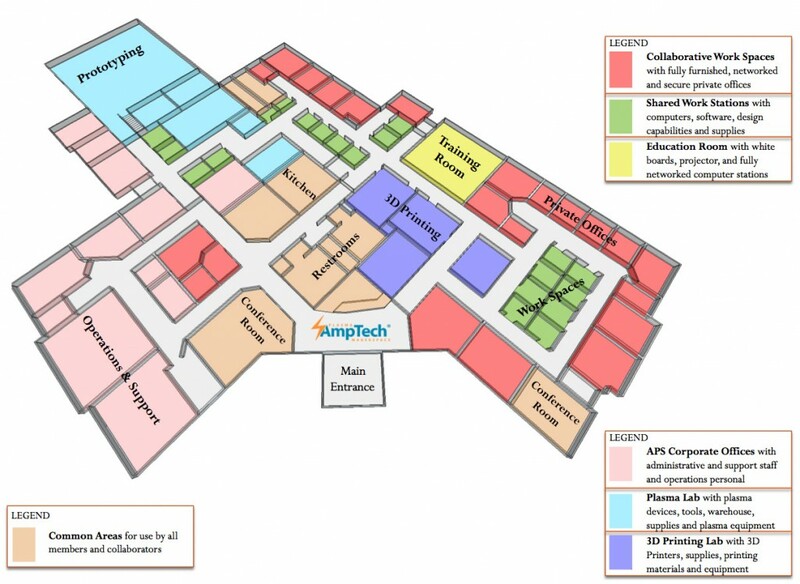 AmpTech also houses numerous complimentary businesses, collaborating with and mentoring companies using the facility. AmpTech is the economic stimulus platform for Southeastern Pennsylvania and the surrounding areas within the Mid-Atlantic Region.